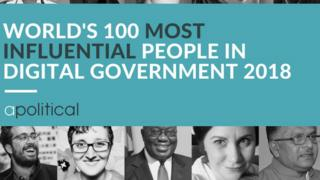 Global network for governance, Apolitical, name Ghana President Akufo-Addo as part of di top 20 most influential people for digital governance in di world. Di 2018 list of di 100 most influential people for digital government in di world be di first of its kind. Apolitical be global network for government, dem dey help public servants find di ideas, people and partners dem need to solve di hardest challenges societies dey face. Others names like Malcolm Turnbull, Prime Minister Australia and Park Won-soon, Mayor of Seoul dey inside. Di organisation Apolitical make di announcement for twitter. Dem look at how every country den level of government, public servants den ministers dey try reform governance in di digital era. Nominations come from over 100 expert contributors like digital government experts, academics den public servants. Ghanaians enter social media congratulate di President on di recognition say he be one of few people dem recognise globally as champions of digital government.